Home » Blog » Be a Hero and Run for Pits! 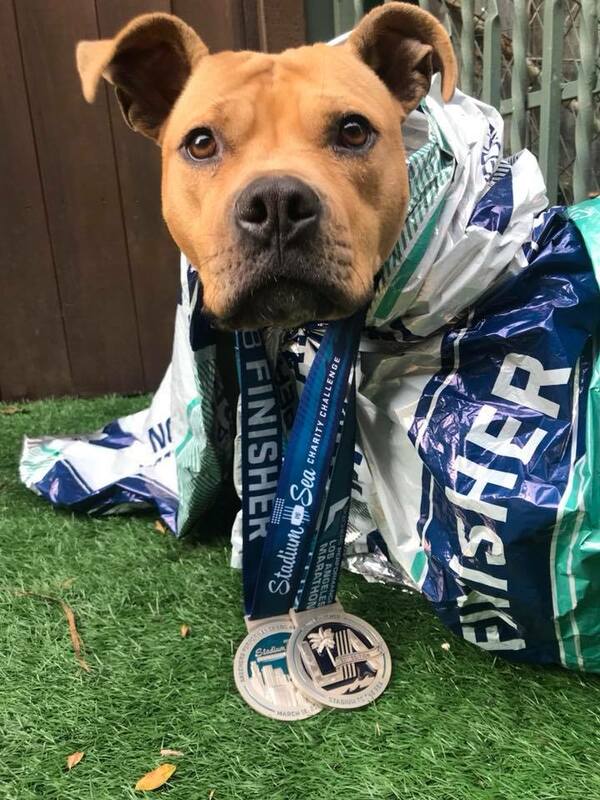 On Saturday and Sunday, March 23 and 24, 2019, Team ACPB runners and walkers will hit the pavement to raise funds to save pit bull dogs in need. By joining Team ACPB and asking friends and family to support your effort, your sweat and determination will help raise funds to assist hundreds of shelter dogs find families of their own. LA BIG5K (March 23): 3.2 miles. This fun course winds through Elysian Park and finishes at Dodger Stadium. This is a great option for runners, walkers, and families. LA MARATHON Charity Challenge Half Marathon (March 24): 13.1 miles. The Charity Challenge starts in Hollywood and shares the marathon course to the finish in Santa Monica. The half marathon is only open to charity runners and is limited to 1100 participants. This option will sell out, so sign up early! LA MARATHON (March 24): 26.2 miles. The LA Marathon starts at Dodger Stadium and ends in Santa Monica soverlooking the Pacific ocean. This scenic course takes runners past iconic LA landmarks as they make their way to the finish. It's a great course for both first-timers and experienced runners. Join Team ACPB and make a difference for pit bull dogs. Be their Voice. Be their Hero. To join our team, get in touch by filling out an interest form today!